Paradise Renewable's only sends out a certified design specialist to your home, not a sales person. We measure the roof and examine the electrical. This person is a consultant to you, the home owner, not a negotiator. 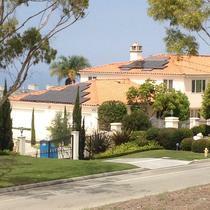 Most solar companies send out a sales person to your home first. This person arrives with a “guesstimate” proposal which always needs to be changed and provides no production guarantee. This person will not and can not examine your roof or measure to determine what will work or will be in code. Nearly all solar companies will require a signed contract and $1000 deposit before sending out a technician to measure and inspect the roof. Paradise Renewable's does this for FREE. We Promise to spend more time designing and tailoring your proposed system than we will trying to sell you the system. We are in the business of installing high quality solar systems and using only the best hardware. We do all of our own work and never use Sub-Contractors, unlike many of the solar companies who are simply in the business of "selling" solar vs actually installing it. Paradise Renewable's is fully licensed, insured and bonded to do business in the state of California with over 1,500 solar installs completed. All of our project managers, designers as well as installation foreman have more than 10 years experience in the solar industry. 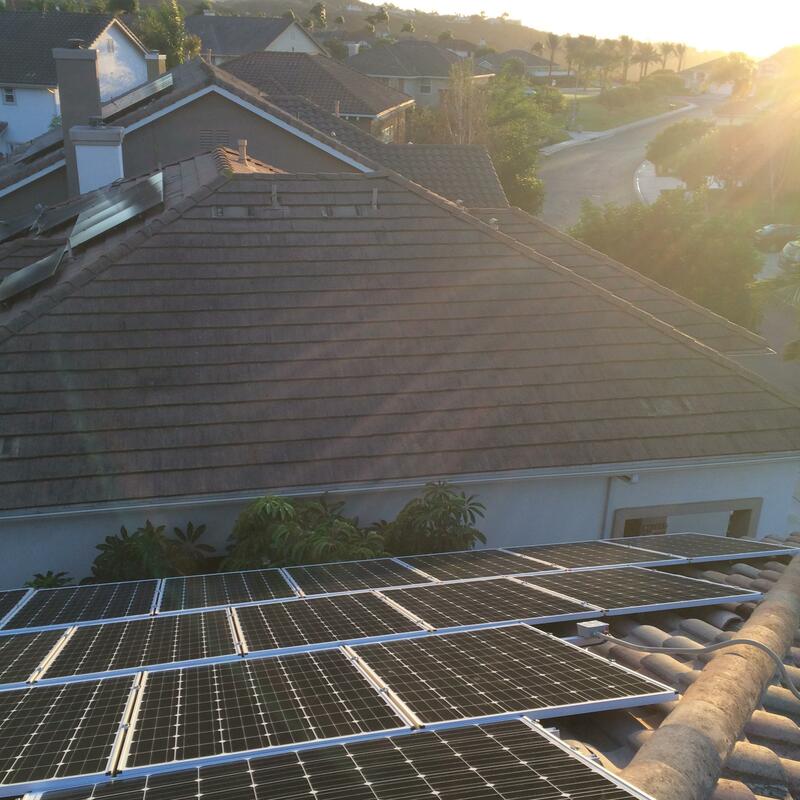 The past five years we have been the go to installer for a number of the local solar contractors for both residential and commercial projects. Many of these jobs require micro inverter's or battery backups and because not all companies are skilled in this area we do it for them. We are a full service solar company which means anything and everything from a main service panel upgrade to adding a line to charge an electric car is something we can do and do not outsource. Batteries included. The members of our team have worked for all of the big name solar companies across the country and brought their expertise as well as their knowledge of all aspects of the solar industry to form the perfect company. We are able to offer the lowest prices in the industry because unlike most company's, we do not spend a great deal of money advertising. We are a direct installer, meaning all of our owners and partners have an active roll in every installation we do. The foundation and formation of Paradise Renewable's was built on creating a company that could guarantee every solar install was done perfectly. We are able to achieve and maintain this high level of consistent quality because we only recruit and bring in the most qualified individuals for all roles and positions within the company. With over a 1500 installs, a 5 star rating and some of the lowest prices in the industry, we are the choice when choosing to go solar. After lots of work and evaluation (and 4 total quotes) I chose Paul at Paradise Renewables. PR was without question the best value for the apple for apple quotes I received. It's common knowledge to ensure you're evaluating identical panels/systems to the same for each company. Unfortunately the solar industry does itself no favors by the amount of games and disinformation they put out to attempt to separate themselves. Paul was honest and displayed integrity from our first handshake. I felt completely comfortable. His crew showed up to the minute of when he told us they would, knocked out our job (much larger than the average I should add) and left our place cleaner than when they arrived. I couldn't give him a higher rating - referral and am grateful that I chose Paradise Renewables. Do your homework and give Paul a chance to earn your business, you will not be disappointed. I had solar panels installed through Paradise Renewables and I couldn’t be happier. Paul and his staff were super knowledgeable, friendly and efficient. I have had my solar panels for some time now, and my wallet thanks you. I was especially impressed with their flexibiltiy to accommodate my schedule and their prompt and efficient installation.  I have, and will continue to recommend this team to anyone looking for this type of service. Thank you Paul and Paradise Renewables! "Top of line system for great price"
Worked with Paradise on two projects, a primary installation and then adding to the shstem to increase my production. Both projects were executed perfectly and right on the mark to maximize the economics of the system. I am totally out of tier 2 and 3 rates and on pace to pay off the system in 7 years. If you are considering solar, I strongly recommend working with Paradise Renewables. Leave the big companies out, save money AND get better service. I shopped around for a bit and decided on Paradise for solar. The team I worked with throughout the process was very efficient and communicative. The Solar was installed without any hiccups ( I have heard horror stories from others with their installs) and the product is fantastic. I highly recommend the team at Paradise. "Free Car Charger, Happy Mama!!!!!!!" A big thank you to the guys at Paradise, the Solar works great, we are saving so much and will save so much more in the future. and the car charger they gave us for free for going solar is so awesome. Living on a farm miles from the nearest store it was important to us to have a constant supply of power. We put solar in years ago but needed more power and also wanted to have the ability to store energy in case of an emergency. Because we are on not in the city but county a lot of the companies would not work with us because of permitting issues and costs. The only company that could add to our existing system and provide us with multiple battery's was Paradise Renewable Energy. They did a great job for us and have done right by a number of our neighbors out here in the sticks. Much appreciated, Paul. This is a great company to work with, they are very polite and respectful. The day they were supposed to start my son was not feeling well and stayed home from school. I called them that day and asked if they could start the next day instead and they did. They were very understanding and did not charge us to make a last minute change to the schedule we had. We are so glad we chose to work with a family owned business and and not a large corporation. "Superior Service and Quality Installation"
Living in Los Angeles or the (valley) as people refer to it we have very hot weather and use our A/C full time about 4 months out of the year. Our average spend during these months was about $800. Because we have a traditional "valley" home built in the early 60's we have one of those flat roofs with rocks with no insulation. When we had solar companies come out in the past we were told we needed to replace the roof before going solar, only problem is that ment we had to use multiple contractors. In the spring of 2015 we met with Paul at Paradise Renewable's, we were impressed right away how much more knowledge he had compared to the previous sales man who had shown up in the past. He designed a great system on a tilt kit to maximize production and had a great roofing company work along side him to replace our old rock roof with a new cool rated roof. For those of you thinking about going solar use this company you will be glad you did. "Excellent company with excellent products"
Paradise Renewables is a very solid company too work with. Our solar was installed 3 years ago and it works perfect and is producing all the energy the company said it would. They also included a line to charge our Prius for free. 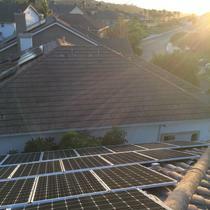 Our solar was installed 2 weeks after we said to move forward and approved by Edison 10 days later. Our neighbors who used another company took 4 months and paid more.